iradiophilly | News - Mike Bowe Brings Happy Hour Back to Martini Lounge Radio on iradiophilly! Mike Bowe Brings Happy Hour Back to Martini Lounge Radio on iradiophilly! PHILADELPHIA - Mike Bowe, a Philadelphia Radio institution is back with one of his favorite programs in over 40 years on the air. 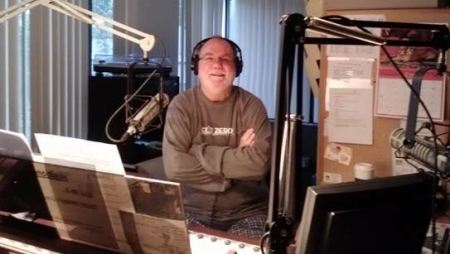 "Happy Hour with Mike Bowe" became a popular feature on WHAT-AM 1340 from 2008 to 2011. Now, Mike Bowe is swinging the doors open again with Happy Hour on Martini Lounge at iRadioPhilly.com every Friday from 5 to 7 pm. Listeners can tune in on the website at www.iRadioPhilly.com or on FREE smartphone Apps for iPhone and Android. “I'm extremely excited for this opportunity to continue to do what I love & reunite with old friends like Bob Craig & Michael Tearson on iRadioPhilly,” says Bowe whose familiar voice, cheerful disposition and humorous on-air attitude are the perfect combination for Friday afternoons after a long work week. Mix in some swingin’ favorites from Frank Sinatra, Michael Buble, Dean Martin, and Sammy Davis Jr. and you’ve got a top shelf radio show, perfect for any Happy Hour celebration. Mike Bowe will also interact with listeners via Facebook, Twitter and e-mails. iRadioPhilly features 20 brand new radio stations serving Philadelphia via internet stream. Music choices include Top 40, Classic Rock, Hip Hop, Jazz, Alternative, Country, Oldies, Adult Standards, 80’s Hits, Classical Music, Indie Rock with Y-Not Radio and more. iRadioPhilly also has a station exclusively dedicated to local Philadelphia artists. iRadioPhilly broadcasts Philadelphia area concerts and festivals LIVE on its “Local Stage LIVE” station.